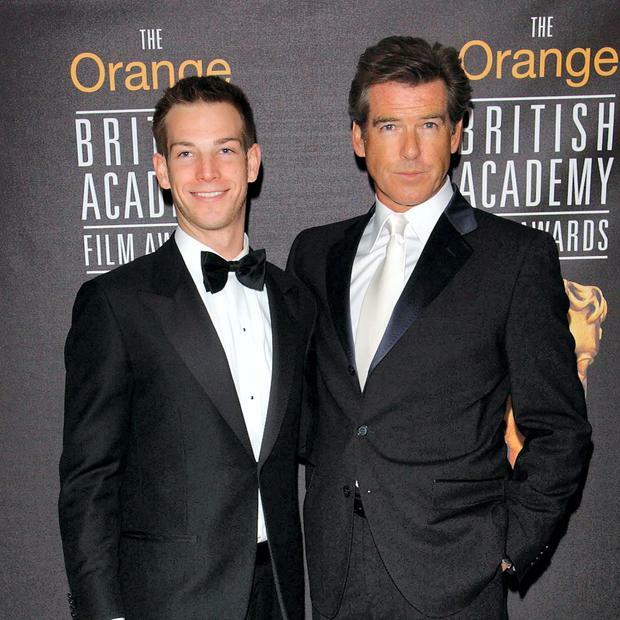 Pierce Brosnan watched his son Seán tie the knot with his his film producer fiancé Sanja Banic at a stylish ceremony in New York yesterday evening. Seán Brosnan (30), who is also an actor, married girlfriend of three years Banic (36) in front of 300 guests at the Paramount Country Club in New York. The nuptials began at 6pm and was followed by a cocktail reception and dinner. The wedding brings some much-needed joy to the Brosnan family who have endured their fair share of sadness over the years. In July last year, Brosnan poignantly walked his daughter Charlotte down the aisle to wed boyfriend Alex Smith just two weeks before she died of ovarian cancer aged 41. Her mother and Pierce’s first wife Cassandra Harris also died from the disease in 1991 aged 43. Seán, who was eight when she died, was the only child from their marriage but Pierce adopted her two children from a previous marriage – Christopher and Charlotte. Bond star Pierce (61) was joined at the wedding yesterday by his mother May, who was 19 when she gave birth to him in Drogheda. He was also joined by wife of 13 years, American journalist Keely Shaye Smith (50) with whom he has two sons Dylan (17) and Paris (13).